listen up folks! here’s a little goodie give away since the first sunday of advent is almost here. the lucky winner receives a shampoo and conditioner from davines. 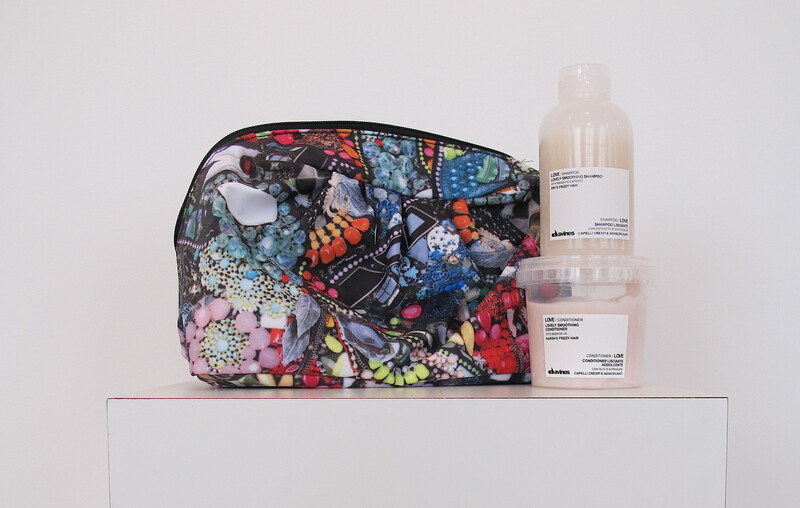 the love series from davines is one of my favorite hair products. and to top it off you get a colorful make up bag from rikkemai. a perfect bag for your many products when traveling. all you need to do is answer the following question with your answer in the comment field below and also make sure to like my facebook fanpage here: desireehamilton. what’s the name of the shampoo and conditioner from davines? its LOVE and its awesome! Love ! <3 ELSKER Davines..
Love. I love, Love, LOVE it! The answer is a) Love – and oh how I would love this gift!